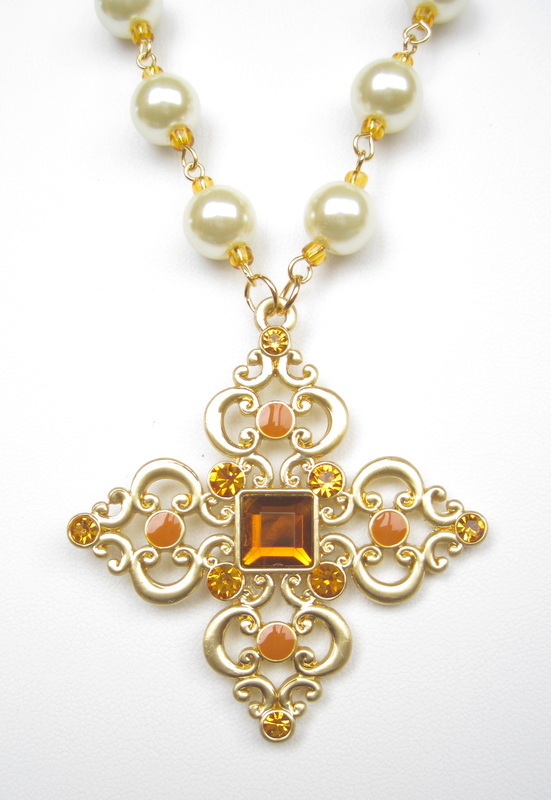 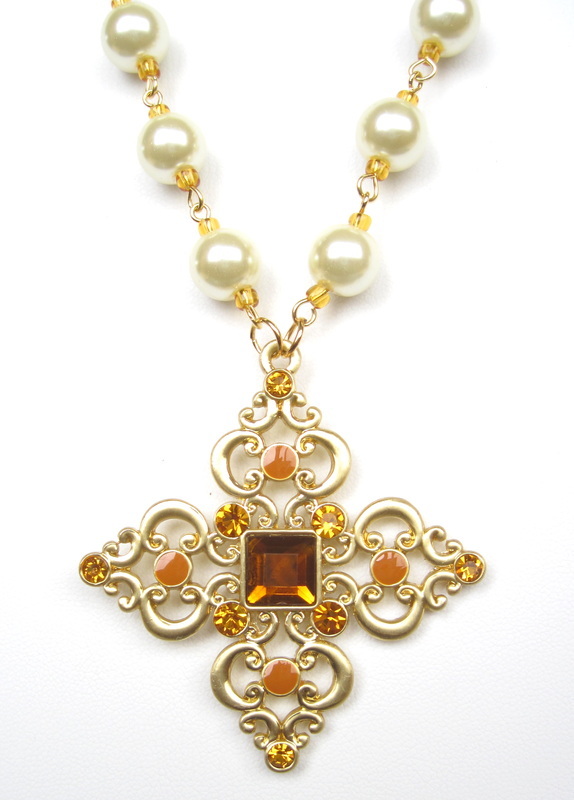 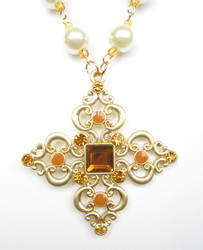 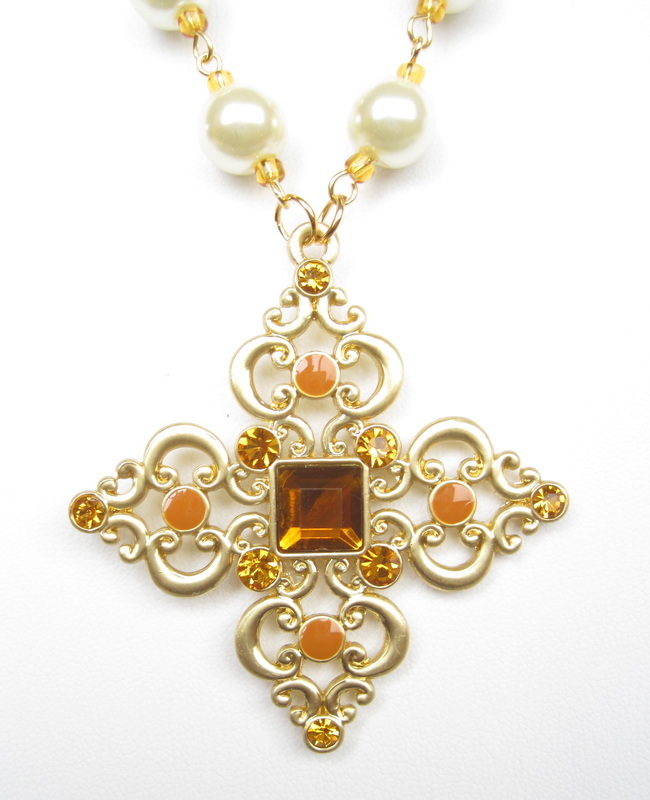 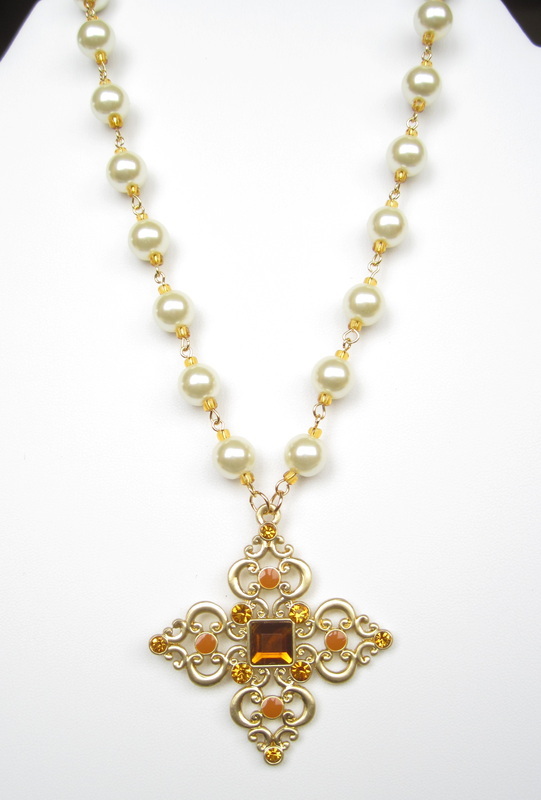 A shining, stylized cross decorated in amber tones is the focus of this simple, elegant necklace. 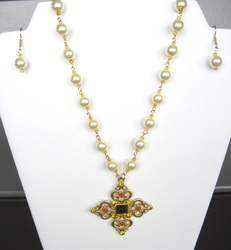 Individually mounted glass pearls glow softly, drawing in the eye. 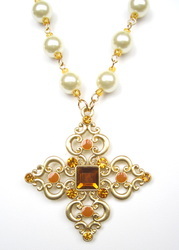 The cross was worn on many forms of necklaces and girdles in the Middle Ages - the ultimate symbol of piety. 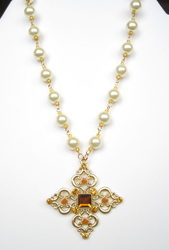 The pearls measure 21"; the pendant adds 2" to the overall length. Matched earrings 3/4" long complete the look.